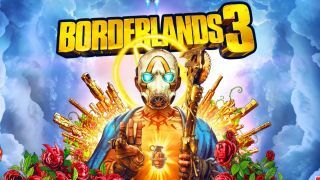 The Borderlands 3 news has been coming hard and fast, but we finally have a release date, and it’s September 13, 2019. That is so dang soon! In no time at all you’ll be running through the game’s many worlds, shooting at all kinds of horrific enemies, using those jaw-dropping Action Skills, and dear lord can we just have it now? Please? Like me your appetite is probably thoroughly whetted after seeing the three Borderlands 3 trailers we have now, but until we get a gameplay demo (probably at E3), that’s all we’re going to have to sup on for now. However, that is still plenty, as there are tons of details hidden in those trailers. We know that the main baddies you’ll be facing off against are the Calypso Twins, and that they are uniting all the bandit clans to claim the galaxy’s ultimate power. Uh oh. No sign yet on what that power will be, but there’s a good chance that it’s got something to do with the Eridians, the mysterious alien race that created Sirens like Lilith, Maya, and Amara, and who have an awe-inspiring grasp of technology. The end of the Pre-Sequel had The Watcher, an Eridian, appear to Lilith, Brick, and Mordecai and warn of an “upcoming war”, so no doubt the twins are the ones who are going to be at the centre of the oncoming battle. Whatever power they’re trying to claim, it’s clearly powerful enough to make the bandits follow them - a brainwashing tool, perhaps? Signs in the announcement trailer do literally mention ‘free brainwashing’, so perhaps you’ll have to guard against attempts to take over your free will in Borderlands 3… but now we know we just have to wait until September 13 to find out! Here’s our Borderlands 3 trailer breakdown if you want to sniff out more details about the game, or look below to see all the little hints we found in the teaser trailer!